Here is the overview and insightful description of benefits, revenue share, pricing and transaction fees of prepaid card distribution programs that Thetabiz® Prepaid Card Programs provide presently. The presentation will explain the prepaid card distribution programs and how it can help your company to create a sustainable business improvement and benefits to your clients. Thetabiz™ Prepaid Card Programs is Scottish Limited Partnership with company number SL007048 and registered office address at Thetabiz Office, Castle House, 1 Baker Street, FK8 1AL, Stirling, Stirlingshire, United Kingdom, with General Partner being Thetabiz S.A. and Limited Partner John Louis Ltd.
Thetabiz® Group is the international group of ethical companies and individuals with the common bond. 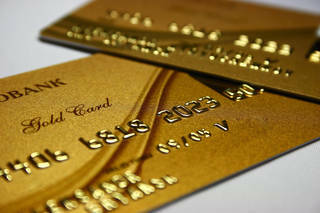 Thetabiz® Prepaid Card Programs is member of Thetabiz® Group. Member based companies are increasingly interested in the opportunities that prepaid cards can bring their business in attracting new customers and replacing cash and checks. Recent changes in financial networks' regulations now permit member based companies to issue prepaid payment cards to its members. This allows member based companies to issue prepaid cards to new customer segments which did not previously qualify for traditional debit or credit cards, for example teens, gift, payroll, promotion cards, expense management cards, reward cards, money transfer cards etc. Under certain requirements even the retail prepaid card distribution is possible. To help such companies with intentions to implement prepaid card programs, Thetabiz® Group has partnered with banks and financial institutions to offer competitively priced prepaid card programs and implementation and management of such programs. Companies will be able to issue prepaid cards without requiring the cardholder to open a bank account and hence avoid unnecessary additional cost of account maintenance including the residual commission income.